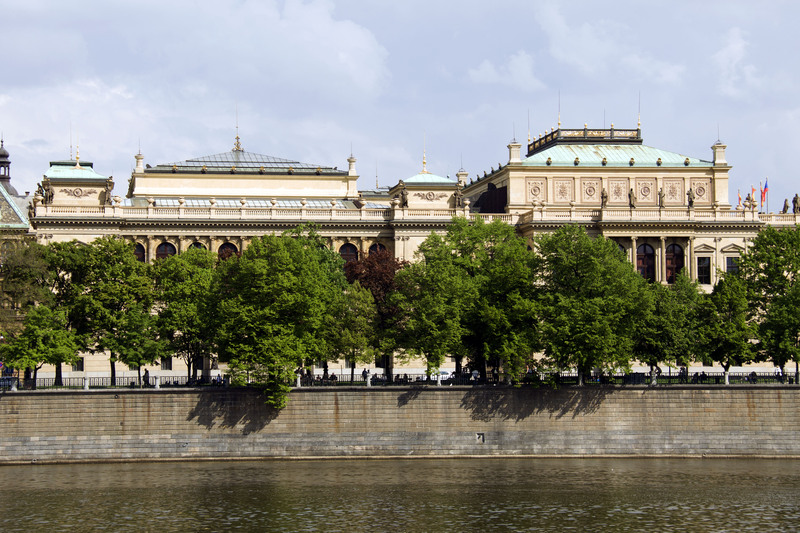 Galerie Rudolfinum shares its home with the Czech Philharmonic in the historical building of Rudolfinum in Prague. Galerie is a non-profit organisation whose principal mission is to present contemporary art to the public. Originally known as Dům umění (House of Art), Rudolfinum was built as a concert hall and gallery by architects Josef Zítek and Josef Schulz in the Renaissance Revival style. The opening ceremony was in 1885. At that time, exhibitions were organised by Společnost vlasteneckých přátel umění (Society of Patriotic Friends of the Arts) and Krasoumná jednota (Fine Arts Union); they included the works of major Czech artists of the day: Mikoláš Aleš, Antonín Chittussi and Antonín Slavíček. 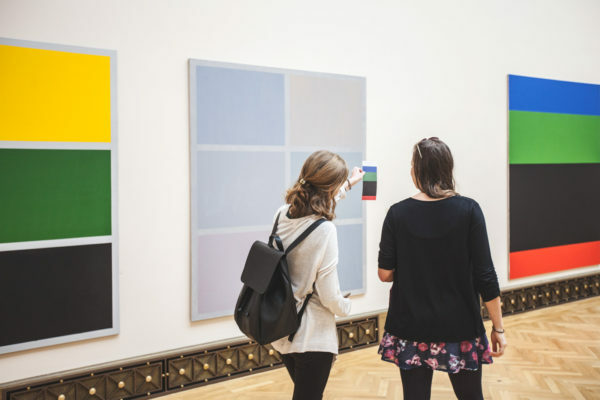 Alongside the permanent collection, Rudolfinum’s galleries dedicated to contemporary art hosted mainly short-term exhibitions of contemporary art. Between the early 1900s and the First World War, the exhibitions culminated with the presentation of some of the greatest names of art of that period: Egon Schiele, Oskar Kokoschka, Pablo Picasso, André Derain, Gustave Courbet, Édouard Manet, Marc Chagall, Henri Matisse, Georges Braque, Paul Klee and many others, which has laid the historical foundation for the international focus on the best expressions of fine arts of the modern time. After Czechoslovakia formed as an independent state, it was decided that the building of Rudolfinum would become the seat of the new parliament, and the construction modifications affected not only the gallery but also the concert wing of the building. The grand concert hall was reinstated in 1940-1941, and a smaller concert hall was built. After 1945, the music life returned to Rudolfinum in full swing, but the gallery wing continued to serve different purposes – classrooms and back facilities of the academy of music, and the hall was fitted with a different ceiling and was used as a gymnasium. In 1989-1992, the building was refurbished under supervision of the architect Karl Prager. 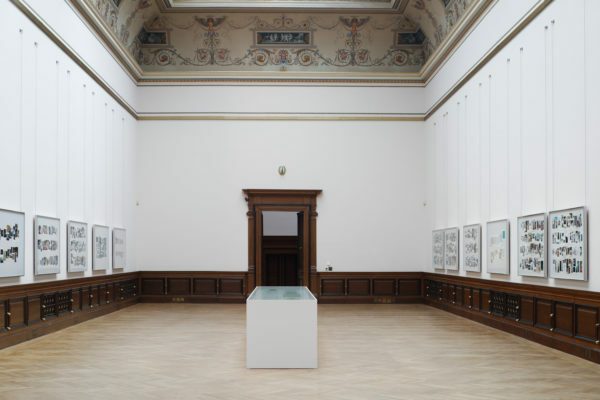 The gallery part was a short-term home to the joint exhibition presenting art from the turn of the 19th and 20th century from the collections of the National Gallery and the Museum of Decorative Arts. This concept failed to entice, and Galerie Rudolfinum was inaugurated, by decision of the Ministry of Culture of the Czech Republic, in 1994. The combination of historical interiors and modern visual art has been giving off a unique contrast in which to present art already for 23 years. The exhibition floor area of 1,500 square metres is suitable for large solo exhibitions as well as collective undertakings. Rudolfinum’s location in the heart of Prague’s historical city centre is also an attraction in itself – only five minutes from the Charles Bridge, on the Vltava embankment and with a lovely view of the Prague Castle. 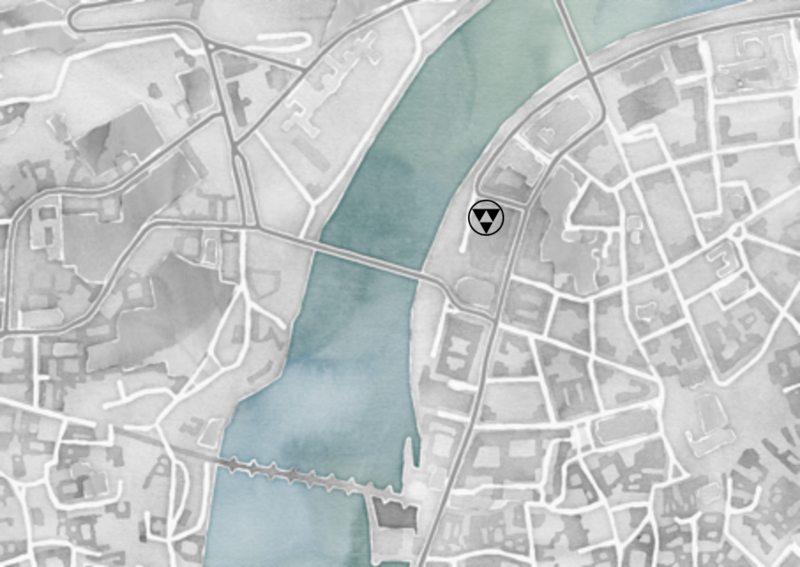 The Museum of Decorative Arts, Faculty of Arts of the Charles University in Prague and the Academy of Arts, Architecture and Design – all in the vicinity – make Rudolfinum a natural centre point of cultural life in Prague. Galerie Rudolfinum operates as a kunsthalle, i.e. 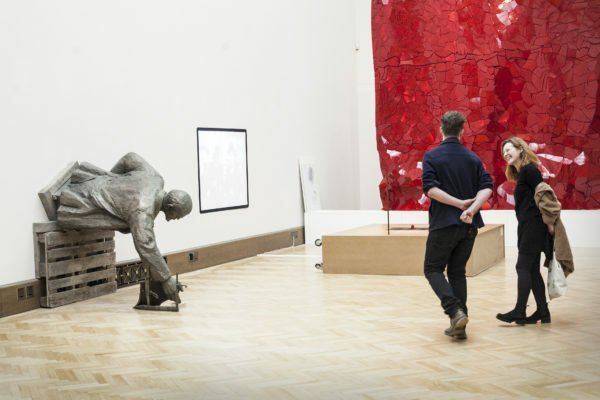 a gallery which hosts temporary exhibitions, without a permanent collection on display. 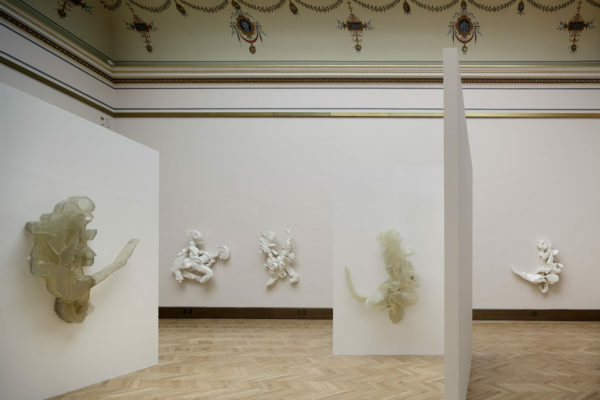 In its short history, Galerie Rudolfinum has earned a stable position on the Czech art scene, and not only thanks to the exhibitions of world-known artists such as Andy Warhol, Damien Hirst, Louise Bourgeois, Georg Baselitz, Neo Rauch or Nan Goldin, but also of the best of the local circuit, e.g. Mikuláš Medek, Alén Diviš, Petr Nikl, Ivan Pinkava, František Skála or Jiří Černický. In September this year, Galerie Rudolfinum opens its anniversary 100th exhibition of a grand-scale installation of the works of Krištof Kintera. 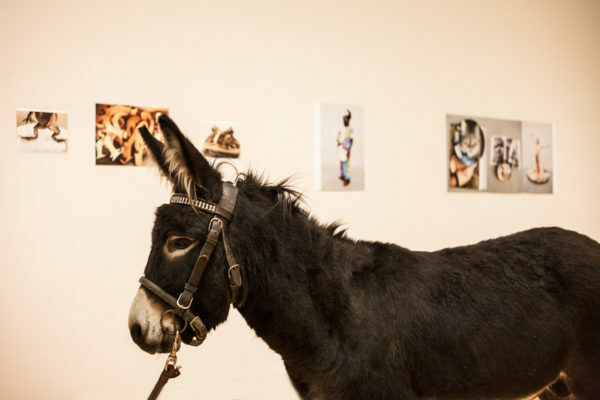 With its associated programme and publication activity, Galerie Rudolfinum strives to present the international art framed in the aesthetic, social and political context to the Czech audiences. 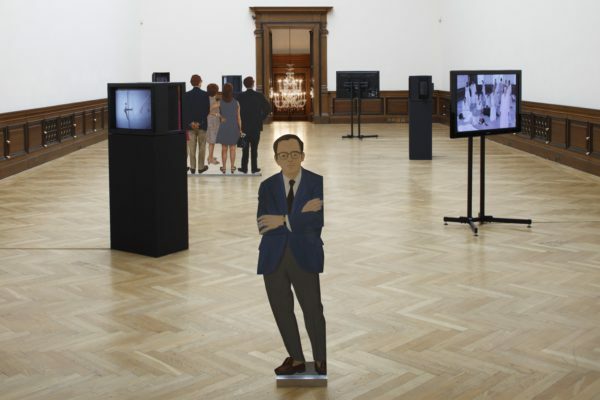 Galerie Rudolfinum focuses on constantly developing its content planning processes, always raising the professional bar, with its sight firmly set on major international projects and a fine mix of quality art from outstanding artists. In addition to the gallery, there is also Artpark, an edutainment space for children and adults, with a bounty of interactive projects and information about the world of art. It hosts regular professionally facilitated workshops dedicated to inspiring modern art themes. Artpark, our interactive guide to modern art, was developed in collaboration with progressive Czech artists. Galerie Rudolfinum also operates its own art cinema, with regular showings of films and documents relating to current exhibitions. Artpark and the cinema, Kino, are admission-free. Cookie is a short text file the web page you visit will send it to your browser. Allows the site to record your visit information, such as preferred language and other settings. The next visit to the site can be easier and more productive. Cookies are important. Without them, browsing the site would be much more complicated. For more information, please read here. Personal data from forms (e-mail) uses the Rudolfinum Gallery to send news emails about news and events in the Rudolfinum Gallery. This personal data is not provided to any third party and, if the user does not show activity, is deleted within three years of the last activity. Your email can be removed from the database at any time by requesting or linking to an email.